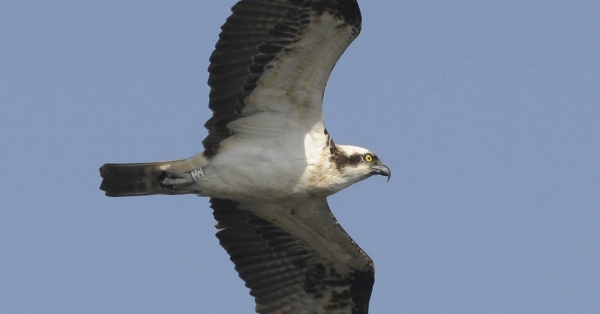 Northumberland Wildlife Trust is seeking volunteers to help with the fifth Kielder Osprey Watch at Leaplish Waterside Park, Kielder this summer. Breeding pairs of ospreys have arrived in Kielder for the last few years between March and September and activity on the nest tends to be mainly throughout July and August as the chicks hatch, are fed, learn to fly and hunt. The wildlife charity is looking to recruit a large team of volunteers to spend weekends, including Bank Holidays and Wednesdays from June until August, between 10.30am and 4.30pm, to staff an information area complete with information boards and telescopes setup for visitors to view the birds at their leisure. It is a very busy day but very rewarding and a great opportunity to meet new people. Don’t be put off getting involved if you are not an expert as full training will be given at the 2014 season induction session on Thursday 15 May at Leaplish Waterside Park, and Kielder Castle, Kielder and all new volunteers will be in a team of three with members who have volunteered in previous years. Last year, some visitors had never used a telescope and knew little about birds whereas others arrived with their own kits and had been touring all the reserves in the region; whatever the level of knowledge, everybody appreciated the help from the volunteers and the opportunity they were given to view the osprey nest. If you are interested, please contact Lou Chapman, Northumberland Wildlife Trust Volunteer Co-ordinator on: 0191 284 6884 or via email at louise.chapman@northwt.org.uk. Kielder Osprey Watch 2014 is organised by the Kielder Water & Forest Park Development Trust, the RSPB and Northumberland Wildlife Trust. The partners are working hard to ensure that the ospreys are here to stay by maintaining a high quality habitat in Kielder Water & Forest Park and safeguarding and monitoring the nest site. To find out more go to www.visitkielder.com/ospreys. region working to safeguard native wildlife. One of 47 Wildlife Trusts across the UK, Northumberland Wildlife Trust has campaigned for nature conservation for over 40 years. It aims to inform, educate and involve people of all ages and backgrounds in protecting their environment in favour of wildlife and conservation.